Winter is back in Poland, accompanied by smog—and renewed concern about its impact on people’s health. Poland has some of the worst air quality in Europe, with 33 of the continent’s 50 most polluted cities, according to a World Health Organization (WHO) report last year. 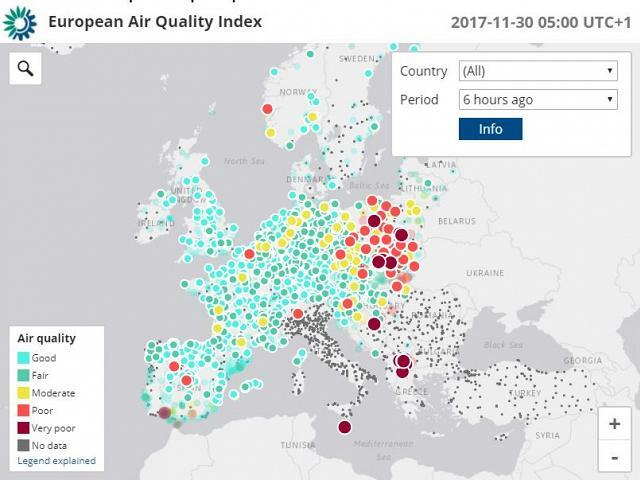 This is highlighted by the European Air Quality Index launched in November by the European Environment Agency (EEA) and the European Commission, a map that enables users to find out whether the air they are breathing is safe in real time. The situation is worst in southern Poland, where towns frequently fall into the index’s “very poor” category for high levels of particulate matter PM2.5 and PM10, two key pollutants. The main culprit: the coal used to heat people’s houses. At the EU level, the poor air quality in cities across Europe is causing concern. In a recent statement, EU Environment Commissioner Karmenu Vella called air pollution an “invisible killer”. In Europe, exposure to particulate matter decreases the life expectancy of every person by an average of almost one year, amid higher risk of cardiovascular and respiratory diseases, and lung cancer, according to the WHO. In Poland, there is mounting awareness of the damage caused by long-term exposure to air pollution—including lung cancer, the most common type of cancer in the country. “Although there has been much talk about smog in Poland recently in the context of illnesses and premature deaths, we still lack that kind of data,” says Dr Marcin Hetnał, director of the Amethyst Radiology Centre in Kraków, Poland’s second-largest city, which is known for its smog. With cancer, it can be difficult to ascertain when it is caused by smog, but there are telling cases, he says, citing one of a fit young man from Kraków diagnosed with lung cancer. The patient had never smoked and there was no history of cancer in his family. It turned out that he had been living by one of the city’s main thoroughfares, where he was constantly exposed to exhaust gases from the traffic below. 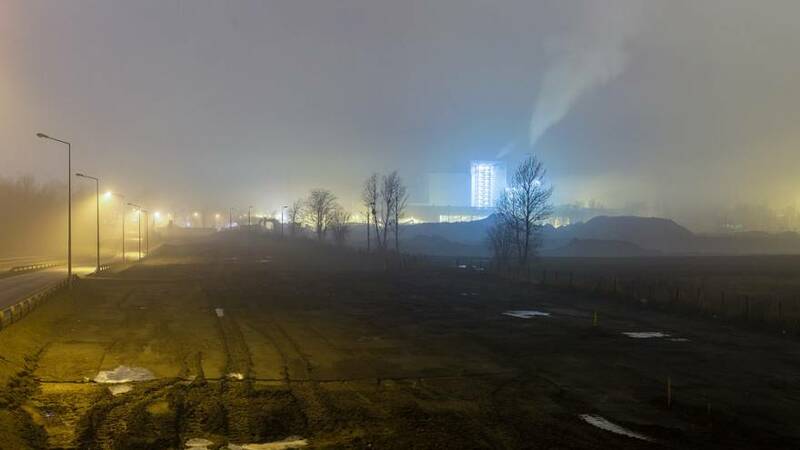 Local authorities are worried, too, as in Rybnik, a town of around 140,000 inhabitants in south-western Poland, which ranked fourth in the WHO’s list of the most polluted cities in Europe. “Air pollution is a huge problem for Rybnik – for one-third of the year, inhabitants are exposed to serious health threats,” says Piotr Kuczera, the mayor. Last January, the number of people reporting to hospitals and doctors with respiratory and circulatory problems spiked. Meanwhile, schools and preschools were closed, so that children could stay at home. The health risks linked to poor air quality may also have wider-reaching consequences, putting off investors, potential residents and tourists, Kuczera warns. The city’s authorities have been raising local inhabitants’ awareness of the poor air quality through educational campaigns. In addition, the city is spending 75m złoty (17.8m euros) over 2015-2018 on improving air quality, including subsidies for inhabitants and investments in heating infrastructure. Yet local solutions are not enough, the city authorities fear. “Low emissions are not only local governments’ problem; legal solutions at the national level are needed,” says Kuczera, who was among delegates from the 33 Polish cities in the WHO ranking of Europe’s most polluted cities who visited Warsaw on 23 November, calling for a planned regulation on solid fuel quality to be adopted. At the end of October, Poland’s Deputy Prime Minister Mateusz Morawiecki announced dedicated programmes for countering air pollution in the 33 cities. An anti-smog law signed by the president two years ago enables regional authorities to regulate what substances households can burn. The regional assembly in Kraków passed it in January, with other regions expected to follow. “It is just the first step, but it may help us prevent illnesses linked to air pollution and smog more effectively,” says Dr Hetnał in Kraków. Also read: How clean is the air you’re breathing right now?